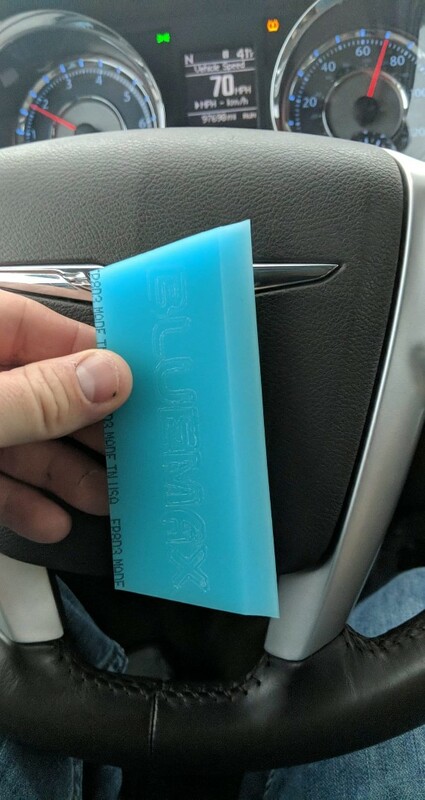 The blu max is 95 durometer and the redline is 98 durometer. The harder the more easlily a knick could happen. Im a skateboader and the wheels are a similar urethane ranging from about 95-100. The small amount is actually big difference in feel. The 99 and 100s can get flat spots & knicks (uneven skid marks). Softer wheels and it wont happen. Cool! Yeah those ratt bones and older wheels were in the high 80s durometer. Some Ratbones on some Gullwing trucks on my Vision - John A. Grigley2 board . That was a LONG time ago. I remember all that. 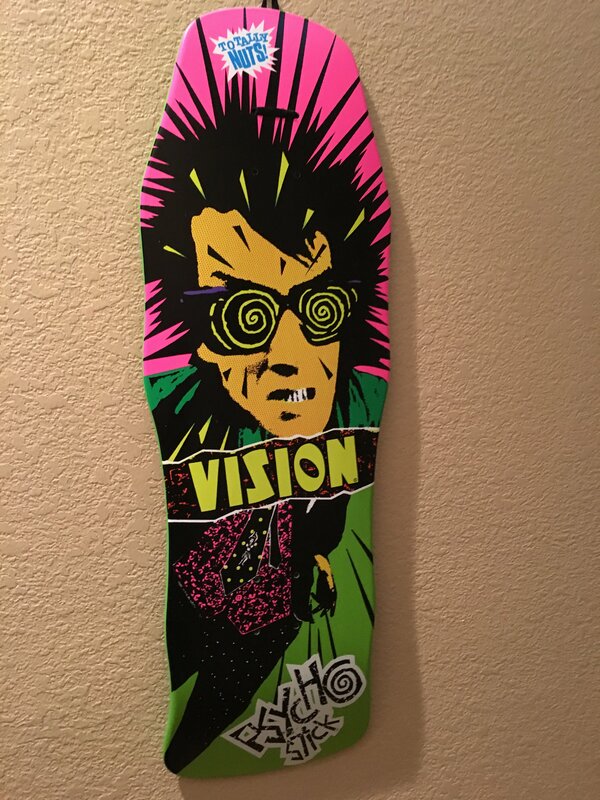 I have re issue of a Vision Psycho Stick on my wall. Never could spell the word psycho. This thread is going to go way off topic. haha I saved my money for a long time to build my first good skate board. It was a Psycho Stick with Gull Wing Trucks , Bullet wheels and German bearings. I ran out of money and couldn't get grip tape for a few more weeks. I need to get a repro of it. I also want a Christian Hosoi board, just because I always wanted one and never got it. This thread is going to go way off topic. haha I saved my money for a long time to build my first good skate board. It was a Psych Stick with Gull Wing Trucks , Bullet wheels and German bearings. I ran out of money and couldn't get grip tape for a few more weeks. I need to get a repro of it. I also want a Christian Hosoi board, just because I always wanted one and never got it. I already posted it on that one but here it is again. Yeah I just saw where you put in the post you mentioned it in. That looks interesting. Will have to try that. Did you really post that at 70mph?? I think I like this one but time will tell. It's a good in between the two. Haven't had any issues with the redline but damn it's stiff.